The Indian made Minis have started rolling out of the assembly line at the Chennai plant of BMW India. The premium British brand MINI adds a new chapter to its success saga as it begins its first production outside Europe. 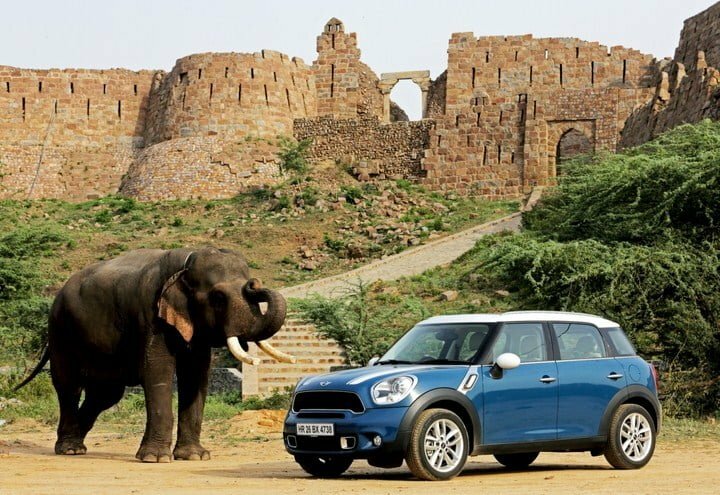 BMW made this announcement today that they are commencing the production of their much known model MINI Countryman in their Chennai based car facility. The vehicles that will be produced here will have the same quality standards that are applied to their vehicles across the globe. The step has been taken by the German auto major 12 months after MINI sales began in India. The company said that they have taken this decision in order to meet the rapidly rising demand of the vehicle. The MINI Countryman that will be produced on local basis will be offered in two diesel variants in India. The two models that will be available for sales in India for the first time are – MINI Cooper D Countryman High and MINI Cooper D Countryman. Both the vehicles will be brought in India as CBU (Completely Build Units). The petrol variants of MINI Cooper Convertible and MINI (Cooper and Cooper S) will also be brought in as CBUs. BMW established its presence in Indian market in 2007. And India is the 100th market that has gained significance in global wide network of MINI Countryman. At present, there are five special sales outlets of MINI in India that are located in Delhi, Mumbai, Hyderabad, and Bangalore. The decision to produce this vehicle in Indian market has been in accordance with BMW’s strategy of ‘Production Follows the Market’.